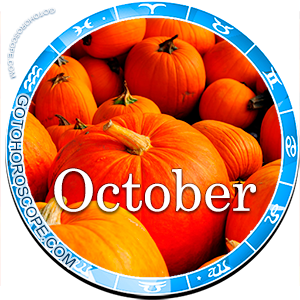 October 2016 Horoscope Aries, free Monthly Horoscope for October 2016 and Aries Astrology Forecast for the month ahead. 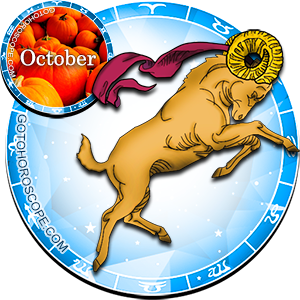 For the zodiac sign Aries, October of 2016 could be a rather ambiguous time, although in general it would be unfair to talk about some really significant challenges. At this stage, your current patron, Mars, which traditionally serves as the planet-ruler of the sign of Aries, will be significantly strengthened due to its planetary status. At the same time, the fact that Mars, the great red warrior, is in tandem with Saturn, responsible for the "fall" of Aries, can, so to speak, work to your disadvantage and play a malicious joke on you. In the sense that you will need to accurately allocate your resources, because if you suddenly decide "to chew more than you can swallow", Mars will immediately "hit you in the head" and will falsify the facts in a way that instead of gaining the planned profit you will lose everything you invested into the cause. Consequently, now you must be extremely careful, despite the general, quite positive state of energy levels. Do not jump over your own head; at this stage these actions are particularly fraught, so you'd better spare your energy and strength. Now is definitely not the right time to take risks, but moving towards your goal is necessary. You just need to do it a little more prudently and consistently than you planned. 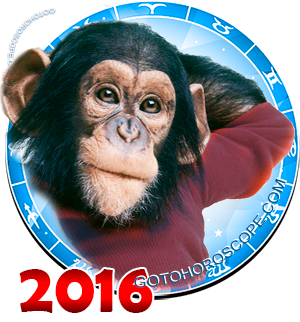 In the working direction, October of 2016 will not bring Aries any special "bonuses." Everything will go according to plan but with the aforementioned indicated nuances. If you work for yourself, at this stage you should try to pay special attention to the actions of your competitors, or on the broader scale, your opponents. Now you might be able to learn something useful from them, because any experience is experience, no matter how it was obtained. You shouldn't underestimate yourself and your capabilities, but overestimating them is even worse. Under no circumstances should you rush into making a decision, even if it seemed simple. As has already been mentioned, you should avoid any exceptional dynamics, but "sitting around and doing nothing" (sorry for being honest) is also unacceptable, because in the long run you do want to complete your current projects by the end of the year, don't you? If you work for someone else, it will be a little easier, in the sense that you won't have to closely watch anyone; it will be enough to listen to what you're told and analyze the proposed set of tasks by synchronizing it with your own capabilities. There's no way that you'll overestimate yourself, but you obviously shouldn't "put too much on your plate," otherwise your intentions may be misinterpreted, despite the fact that you had only "the best intentions in mind" for everyone. The "love life" of Aries in October of 2016 will be much more specific and calm compared to the financial and working sphere. You will be exempt from the "Martian instability", so you can finally relax. Usually, by the end of the year everyone is trying to increase their pace; you, on the other hand, should be carefree and pacified. In the relationship with your "significant other" you might come across some sort of crisis; however, you'll be able to quickly overcome it by making the right decision. At the same time under no circumstances should you let your family manage your life. Because of the position of Venus, the likelihood of family conflicts flaring up is tripled; however, the probability of this is not as high, and if you are determined to prevent anything like this from happening, then it's down to zero. You should avoid standing out from your friends, even if it requires from you a lot of effort. Just stay true to yourself and don't try to prove anything, either to yourself or others. People value and appreciate you for the nature of your character and skills, this is more than enough. A great prediction. After following a few months I found that our predictions are more or less true. Nice that you are able to caution negative things also in a smoother way. Keep it up.